Here is a good news to smart phone users. 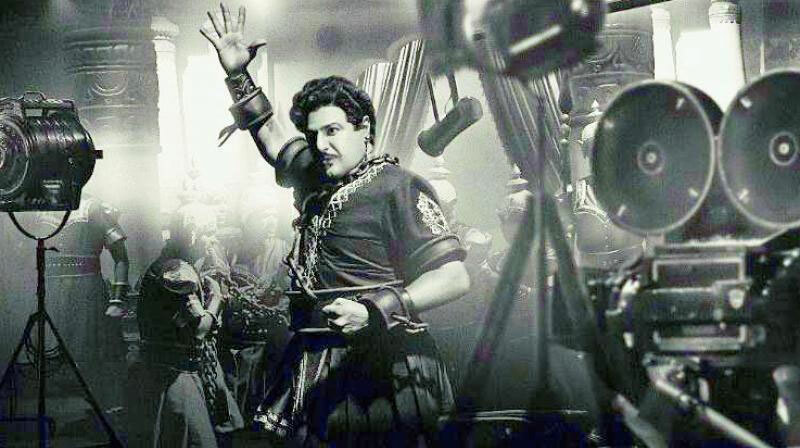 Natasimham Nandamuri Balakrishna's most prestigious venture Ntr Kathanayakudu is all set to be released by Amazon Prime Video in online. According to reports, the film can be watched through Amazon Prime from February 7. Since most of the people haven't watched the film in theatres, they can now watch it through Amazon prime. In the meanwhile, Ntr Kathanayakudu collected a share close to Rs.20 crores world wide. The film was directed by Krish on Balakrishna's NBK Films. Vidya Balan reprised the role of Basavaramatarakam.